Jill Flint, Freddy Rodriguez, Scott Wolf and Eoin Macken were in a joking mood when I caught up with them on the red carpet of the NBC Upfront this morning. 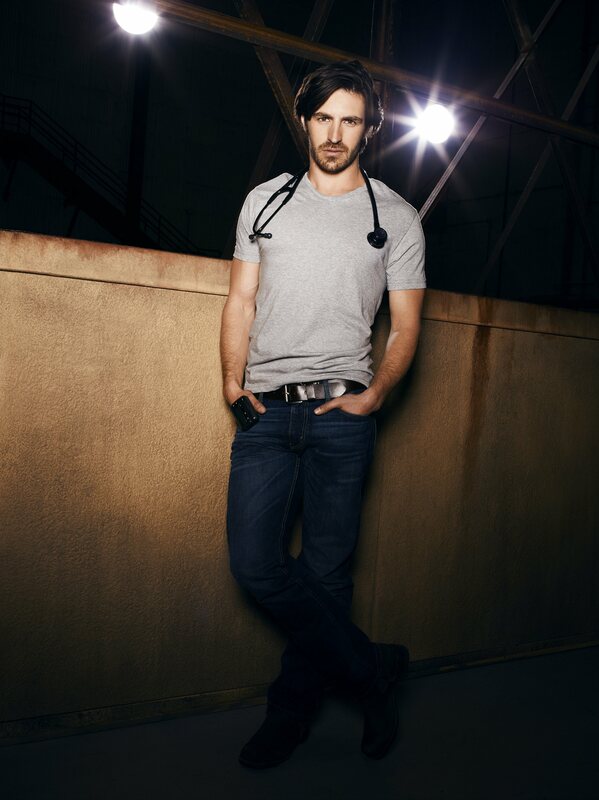 CHICAGO, May 11, 2015 /PRNewswire-USNewswire/ — NBC’s medical drama The Night Shift cast Eoin Macken (TC Callahan), Jill Flint (Jordan Alexander) and Ken Leung (Topher) star in a new public service message inviting people to take part in Alzheimer’s Association The Longest Day. “Here on set, our days can be pretty long, but not nearly as long as they are for families affected by Alzheimer’s. There are over five million Americans living with the disease, and more than 15 million who serve as their caregivers,” says Flint in the cast message. Held on June 21, the longest day of the year, teams around the world come together to raise money and awareness for Alzheimer’s care, support and research by participating in an activity that they love from sunrise to sunset. 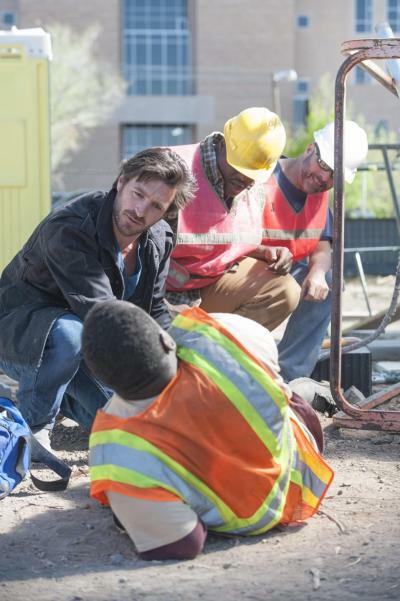 Eoin Macken has revealed his hit TV show The Night Shift will be returning for a third season. The Dublin native has starred as Dr. TC Callahan on the medical drama for the last 2 series on NBC. The Irish actor took to social media to announce the good news and gave a shout-out to the show’s crew. 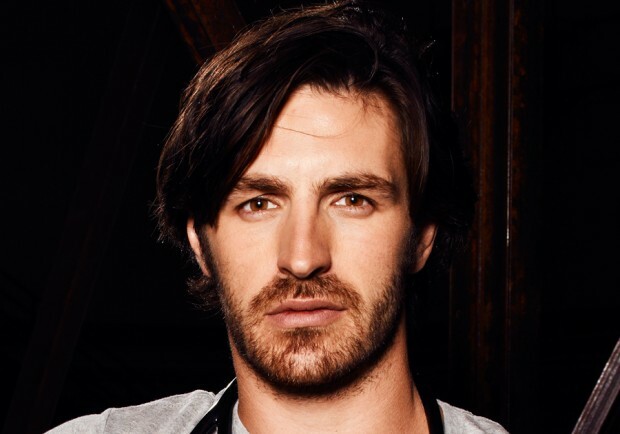 Eoin Macken is certainly a long way from Carrigstown now! The former Fair City actor is currently living in Hollywood and starring in NBC’s hit show The Night Shift, and it is set to have a very important guest star. Two, in fact! On an upcoming episode, First Lady Michelle Obama and Dr. Jill Biden (the wife of Vice President Joe Biden) will pay the fictional San Antonio, Texas doctors a visit. 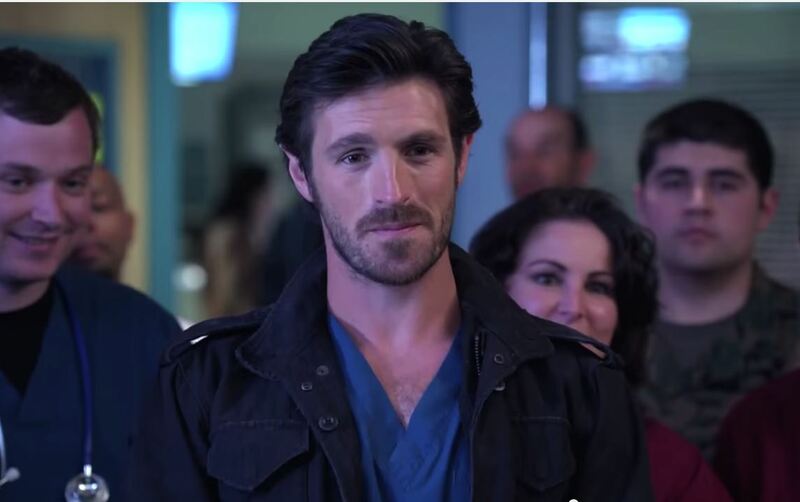 The important part of First Lady Michelle Obama’s appearance on Monday’s “Night Shift,” says star Eoin Macken, is her message about veterans’ health care. But OK, it was also a nice bonus to meet her. Obama and Jill Biden make their unusual appearance to publicize the issue around which “Night Shift” revolves: care of military. On Monday May 4th, NBC’s medical drama The Night Shift welcomes special guests Trace Adkins, Dr. Jill Biden and First Lady Michelle Obama for a special episode to promote the White House’s Joining Forces initiative. Cast members Robert Bailey Jr, Eoin Macken and Jill Flint joined Dr. Biden and the First Lady to make a PSA promoting the program. First Lady Michelle Obama and Dr. Jill Biden will appear on the NBC show, airing at 10/9c after “The Voice.” In their appearance, they’ll play themselves, thanking the doctors and nurses (many of the character on the show are military) of the fictional hospital for helping veterans, and getting the word out about how veterans and their families can get help and counselling at vet centers. The women also recorded a PSA with “Night Shift” stars Eoin, Jill Flint and Robert Bailey Jr. for their Joining Forces initiative. Having booked the lead role of army vet TC Callahan on the gripping medical drama, now wrapping up shooting its second season, Macken clearly believes in the power of the self-taped audition. Sure, not everyone has access to impeccable light and sound amid sweeping vistas, but investing in something that looks well-executed is crucial.